With the sun shining I can't help but fall in love all over again with this swatch of Shimmer Astrid. It's such a dainty combination! 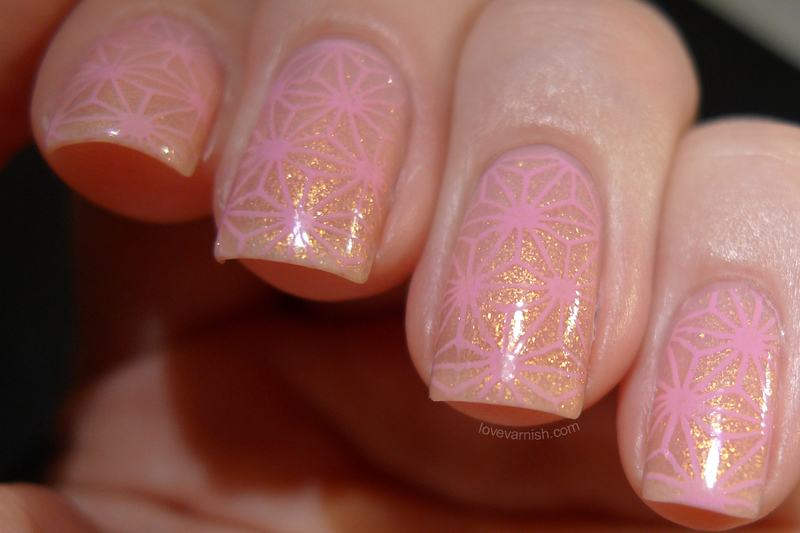 A thermal base, gorgeous golden flecks AND nailart? Yes please! It's all in this post featuring Liquid Sky Lacquer 24 Karat Rose :-). Last year I showed these 4 gorgeous shades from Too Fancy Lacquer, all part of the Sizzling set. Check out the other 3 shades in my review! Kiko is a really fun brand that sells polish at a reaosnable price. One of their beauties is this dark shade, and depending on the angle it looks either green or blue. Such a unique collection this was! 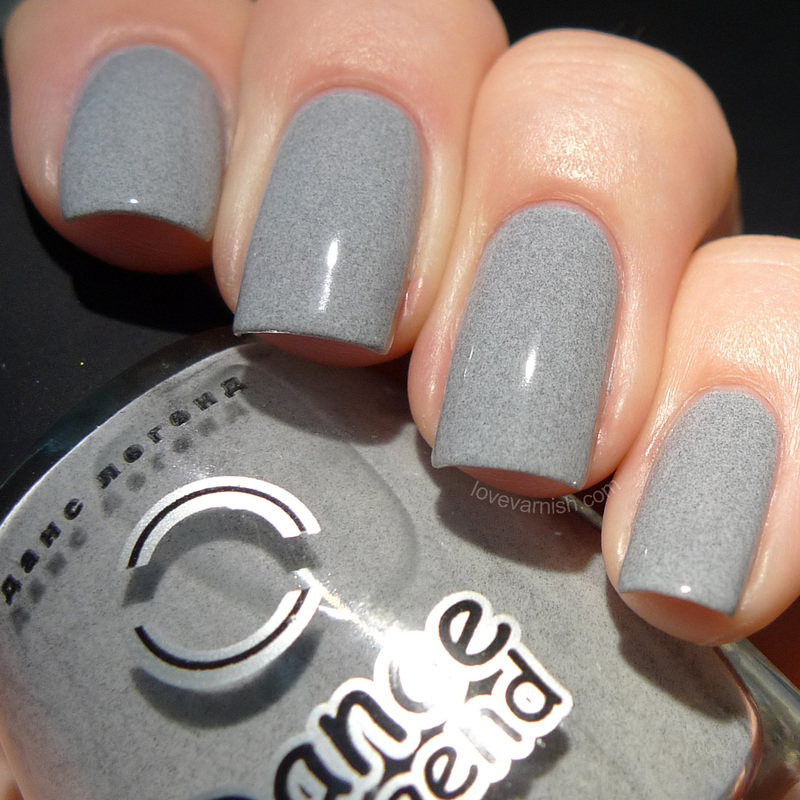 The Dance Legend Smoky shades all seem to have some sort of small black glitter or flecks to make them appear dusted. Really cute! Looks like a purple galaxy! So gorgeous! Oh I love the last one! I actually love grey at this time of year. Thanks Lindsey! I realized this happens even more to me when I have singles from a brand. For example this is my only Powder Perfect so it sits in the mixed drawer and well.. that drawer is a mess. Never gets opened and so I forget! Good excuse to buy more from this brand I guess? Lol, it sits in a drawer with other singles (brands I only have 1 polish from) and that drawer is a mess so I never open it :P. Thanks Mina! I can see the link between those shades! I did swatch it with Gelous actually, and after 15 minutes it was already showing texture again :P.
Haha, it always hurts a bit huh? So many pretties begging to be used! Thanks Allie! Aah yes, recently I did some serious purging and I must admit, a lot of what I purged was untried.. in the end, if it sits in a drawer for a year without being used chances are slim I'll ever use it. Thanks Viktoria! I think I've seen some great swatches of that collection, Powder Perfect really does beautiful and unique shades. Lol, we all feel the pain I think :D! 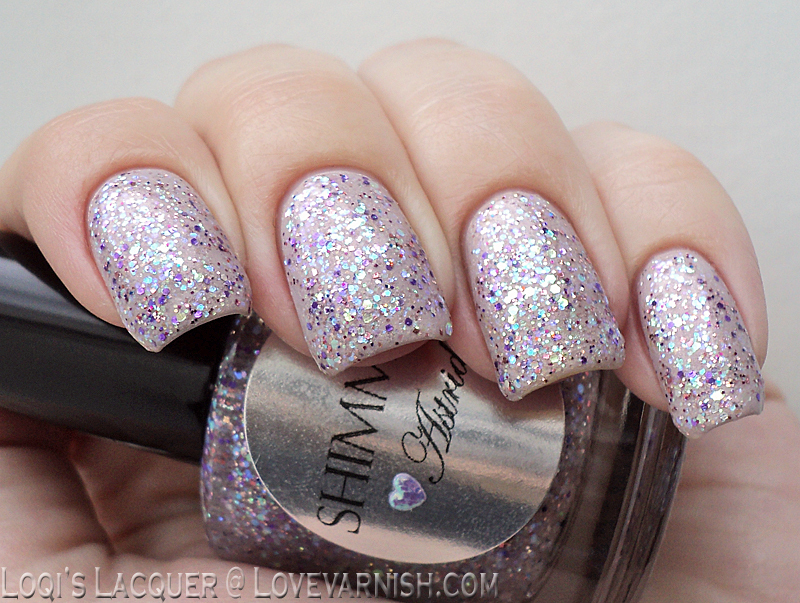 If you love purple glitters this is definitely one you should have! I think if I'd wear this, topcoat has to be added after a day to keep it smooth.